Last weekend, I received a few text messages from my brother Shawn that I wanted to share with you . Hopefully, he will forgive me (oh, and I apologize in advance for the crudeness). But first I need to share a little background information. 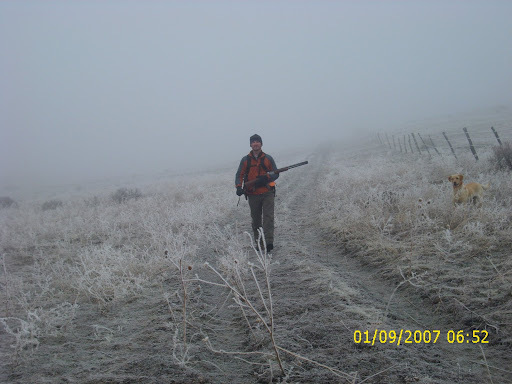 Shawn was hunting bobwhite quail and pheasants in Kansas one final time before the season closed. 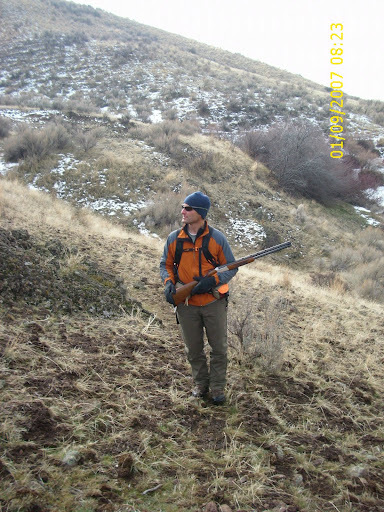 Likewise, my good friend, Matt Lucia, and I traveled towards western Idaho Friday evening to hunt valley quail on Saturday, the last day of the season. In the first text message, Shawn wrote: “Are you going quail hunting tomorrow? 14 coveys today! Wow what a day! Poor shooting at first but finished good!” Can you believe that? Shawn and his hunting companions moved fourteen coveys last Friday. Simply put, Shawn harvested more quail this past season than I have in my whole life. I truly envy him! That same evening I got a second text from Shawn: “Hope you have a great day tomorrow! Tell Matt hi and that I am a quail whore!” Matt and I had a good laugh over that one. 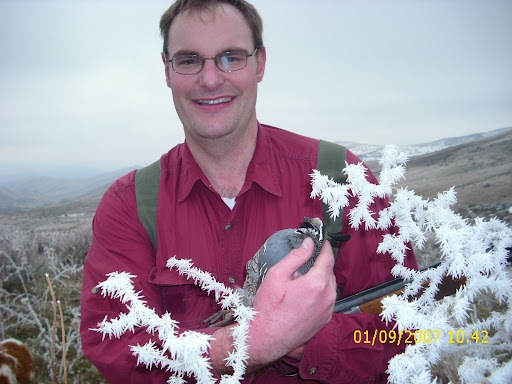 Shawn is definitely addicted-something fierce-to quail hunting, but I have never heard of this affliction described in such a manner. I wonder if there is some support group for people who suffer from this incurable disease. Matt and I had a fun hunt last Saturday, but we did not see nearly as many quail as Shawn. Upon arrival, we hiked down what I have dubbed, “the Trail to Quail,” into some public ground that has held phenomenal numbers of quail in the past. Unfortunately, the quail numbers were seriously low. That morning, the rolling landscape was blanketed with an eerie fog as we strolled down the trail. Matt and Darby coming down the Trail to Quail (Sorry about the annoying incorrect dates in the photos. I could not figure out how to turn it off or correct it). 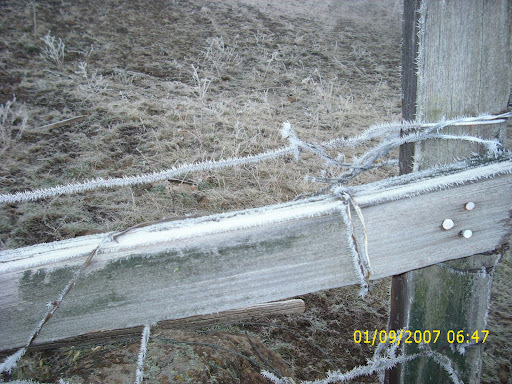 Check out the hoar frost that covered every thing that chilly morning. As we descended in elevation, the fog dissapated. Darby, Matt’s yellow Lab, soon busted a covey out of a thick creek bottom, but we had no shots. Further down the canyon, Darby pointed (keep in mind she is a flusher not a pointing Lab) into a thick willow patch. “Darby is on point. Get ready!” Matt exclaimed. When Matt kicked the thicket, a beautiful mail topnot blasted out to my right. Quickdraw Matt caught up with it first and, as it dropped from his shot, I thumped it again not a second later. Then Sunny girl, my French Brittany, ran over and retrieved the bird to hand. All four of us got a piece of the action! Sunnygirl, doing what she lives to do–hunt birds. 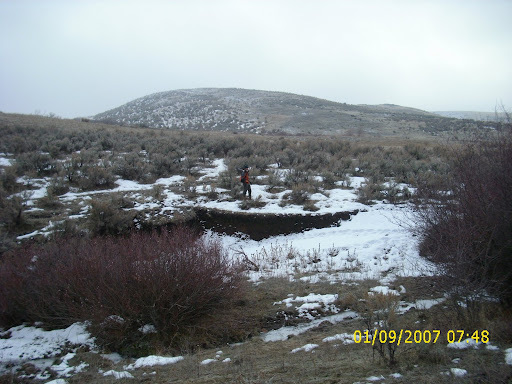 A few hours later, Matt unexpectedly flushed a covey out of a sagebrush flat. Both he and I missed twice on various birds from that covey. Although we hunted hard, we had no other opportunities. We did see a big covey of Hungarian partridges, which we could not pursue because of the early closure by Idaho Fish & Game. Valley quail stay close to these brushy creek bottoms. 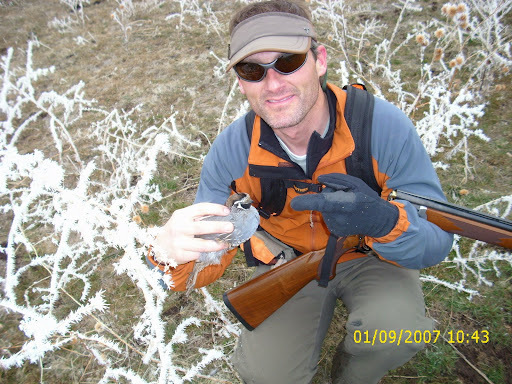 As we hiked back out, Matt and I stopped to take some photos with our one quail. At the top of the hill, there was this amazing hoar frost covering everything. Given his text message, we decided to show Shawn some real quail hoars. The truth is that anyone who would drive hundreds of miles to chase little birds in the dead of winter has a serious problem. Let’s face it, we all just might be quail whores! The real quail hoar . . . frost, that is. I am guilty as charged!!!! 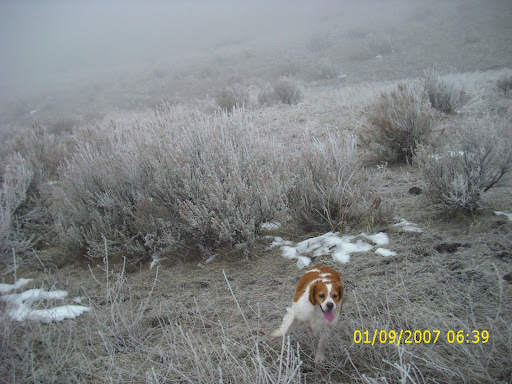 I am a true quail junkie…can’t think of anything I’d rather do than pursue feathered rockets with pointing dogs! I’d sale the family heirlooms for one more covey rise!